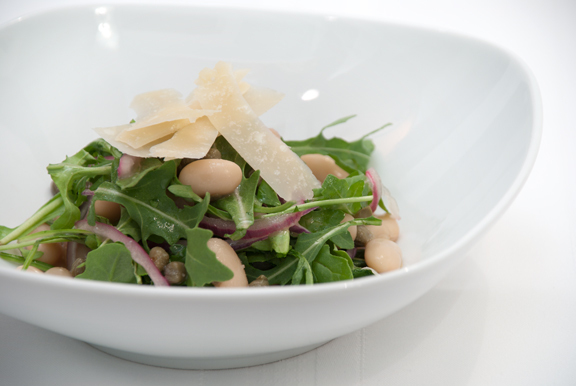 Here’s a quick and hardy winter salad that works perfectly as a first course or side dish. The sweet and tangy pickled onions balance nicely with the bitter arugula. In a medium glass bowl whisk together the lemon juice, olive oil, honey, garlic, salt, and capers. Add the red onion and allow to marinate for at least half an hour at room temperature. Add the beans and arugula, and toss well. Top with the shaved parmigiano reggiano and serve. I could go for some right now. Can't wait to make it.